Special Fathom Feature: Enjoy a specially produced introduction from Turner Classic Movies that will give insight into this celebrated holiday classic. 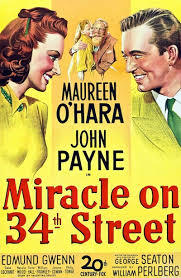 Fathom Events, Turner Classic Movies and Twentieth Century Fox will be bringing holiday cheer to the big screen with Miracle on 34th Street (1947), back in cinemas nationwide on Sunday, December 20. Miracle on 34th Street is an irresistible fable that has, for many years, become synonymous with celebrating Christmas. The holiday season is in full swing when a cultured gentleman with twinkling eyes, an ample belly, and a snowy beard (Edmund Gwenn) is hired as Macy’s department store Santa. 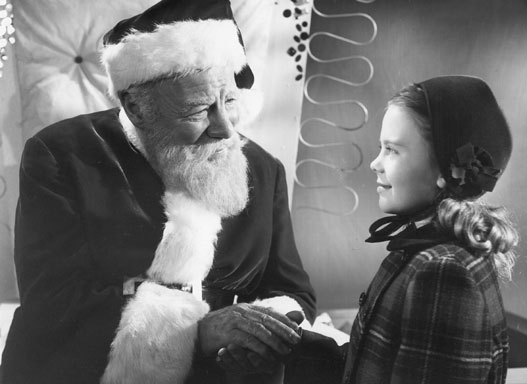 He claims his name is Kris Kringle, and soon fills everyone with Christmas spirit...except for his boss, Doris Walker (Maureen O’Hara), who’s raising her daughter (Natalie Wood) to not believe in Santa. But when Kringle is declared insane, and put on trial, everyone’s faith is put to the test as young and old alike face the age-old question: Do you believe in Santa Claus? To purchase tickets in advance, click here. Tickets will also be available at the box office on the day of screening. I’ll be holding up a Meetup sign by the concessions on the top, theater, level. Let’s try and meet at 1:45 p.m.